Lixouri holidays take you to Kefalonia's second largest town which is located on the Paliki Peninsula. It has a bustling port with a constant flow of tourist boats and fishing vessels. Holidays in Lixouri are popular with those looking for a relaxing break in interesting surroundings as there is plenty to see and do in the area. 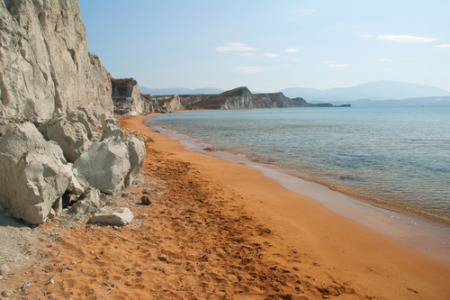 The red sandy beach of Lepeda lying two kilometres from the centre provides safe bathing for children and less confident swimmers and also offers some water sporting activities. Holidays to Lixouri can be taken from April until October when temperatures rise from twenty to the low thirties. Early and late season are ideal for those wishing to explore the area's archaeological sites. We have a number of cheap Lixouri holidays which may be of interest to those wishing to escape the uncertainty of our weather. They are considered great value for money as we remain committed to high standards of quality and service at all times. With good accommodation, restaurants serving an eclectic menu and a few lively bars, our low cost Lixouri holidays are sure to please. For further information and to view our last minute Lixouri holiday deals, please use the search facility.